Moscardo, Gianna, Prideaux, Bruce, and Laws, Eric (2006) Researching and managing tourism and hospitality service: challenges and conclusions. In: Prideaux, Bruce, Moscardo, Gianna, and Laws, Eric, (eds.) 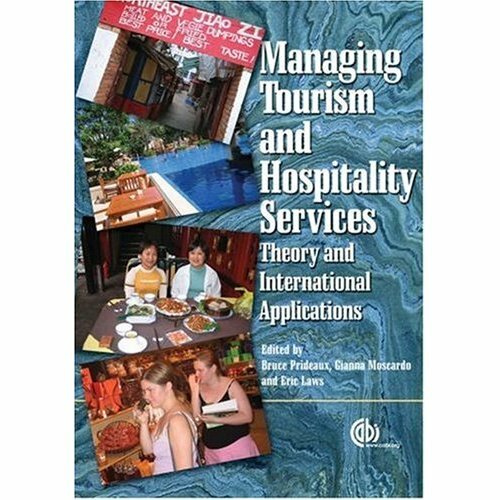 Managing Tourism and Hospitality Services: theory and international applications. CABI, Oxfordshire, UK, pp. 327-334. Aims to enhance theoretical and practical understanding of quality management in tourism and hospitality. 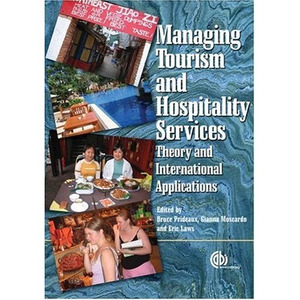 This book contains 28 chapters by international experts, highlighting the tensions and challenges in tourism and hospitality services management.